Click on the following button to get a contact form. 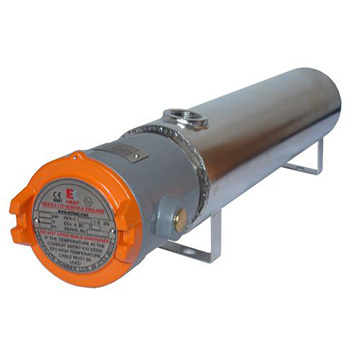 The range of flameproof mini line heaters consist of a screw plug or flanged type immersion heater mounted in a thermally insulated heating vessel. They are designed to efficiently transfer heat to a flowing medium (liquid, air or gas). All flameproof heaters are fully ATEX certified and designed for use in zone 1 & 2 hazardous areas, gas group IIC.